Compared to other dreaded irritants to your car’s paint like overspray, tar, squashed bugs, or other debris, water spots sound pretty tame. The fact is, that water spots have the potential to damage your paint every bit as much as many other troublesome contaminants. Water usually comes in contact with your car in one of three ways including overspray (sprinklers, etc. ), rain, or washing your car. So how can a little bit of water hurt your car`s finish? 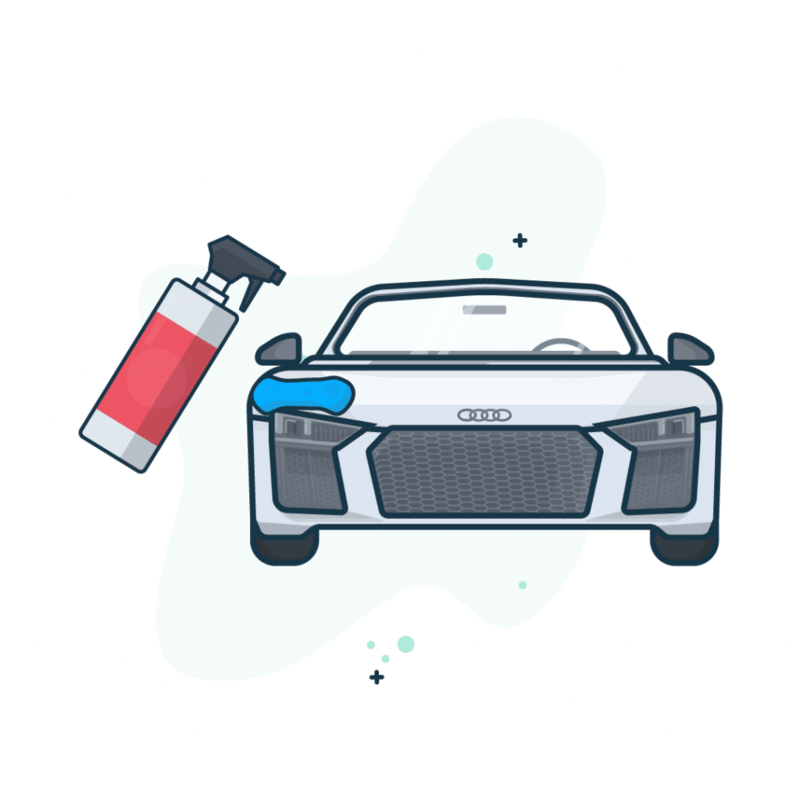 Water contains varying amounts of minerals and microscopic debris, or particle pollutants, which can not only dull your car`s finish but have the potential to do real harm to your vehicle`s paint. Regular old tap water can cause a buildup of total dissolved solids (TDS) on your car’s paint. Naturally occurring minerals are found in water. Hard water is rich in dissolved minerals, especially magnesium and calcium. These minerals lead to water spots, or limescale, hard chalk-like deposits that can prove difficult to remove. Particle pollutants include microscopic particles from sources such as forest fires, smoke from wood stoves, emissions from industrial plants and vehicles, and dust from construction sites. These tiny particles can either fall on your car in the form of dust or mix with rainwater to plague your paint`s finish. Rainwater is always acidic to some degree. Acid rain, as we know it, is rain with higher amounts of nitric and sulfuric acids absorbed from the atmosphere. These contaminants combine to create water spots and leave behind hard deposits after the water evaporates. These deposits can bond to your car’s paint and even erode the clear coat If not removed properly. Etching is typically seen when water spots are baked into the finish as a result of high heat or direct sunlight. Severe etching can require the use of an abrasive means to correct the situation including wet sanding for severe cases. A qualified professional is recommended in this scenario as improper handling and application can lead to irreparable damage to the car body. Let’s first consider the most straightforward avenue for removing water spots from your car. A solid start is a complete wash and dry. 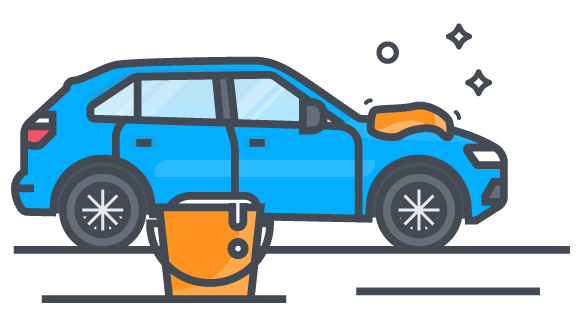 Yes, you know how to wash a car, but here are a few tips and reminders to make your car washing experience more efficient and successful. Many dealers recommend using portable deionizers or in-line water softeners for car washing. While water quality is an all-important aspect of water spotting prevention, many consumers do not own or can’t afford these extras. Buy a few gallons of distilled water at your local grocery store to use as a final rinse after washing your car and rinsing with your ordinary tap water. Avoid washing your car in direct sunlight. A shaded area goes a long way to help keep your entire car wet during the washing process so that water does not dry on the car and lead to more water spots. Be sure that you rinsed all loose debris away from the car. Never wipe a dry car or begin washing before rinsing away debris or you may inadvertently scratch the finish. It’s preferable to use a washing mitt with long strands that will not grind debris into the car. The all-important rinse bucket will keep your mitt or sponge clear of dirt and grime as you wash so that you are not depositing that dirt onto other areas as your wash. Be sure to replace dirty rinse water as needed. Wash the wheels first to prevent soot and grime from splashing on the clean car. Have plenty of clean drying towels on hand. Never air dry your car as evaporation is not your friend. A thorough drying process will go a long way to preventing new water spots and will leave your finish looking much nicer. 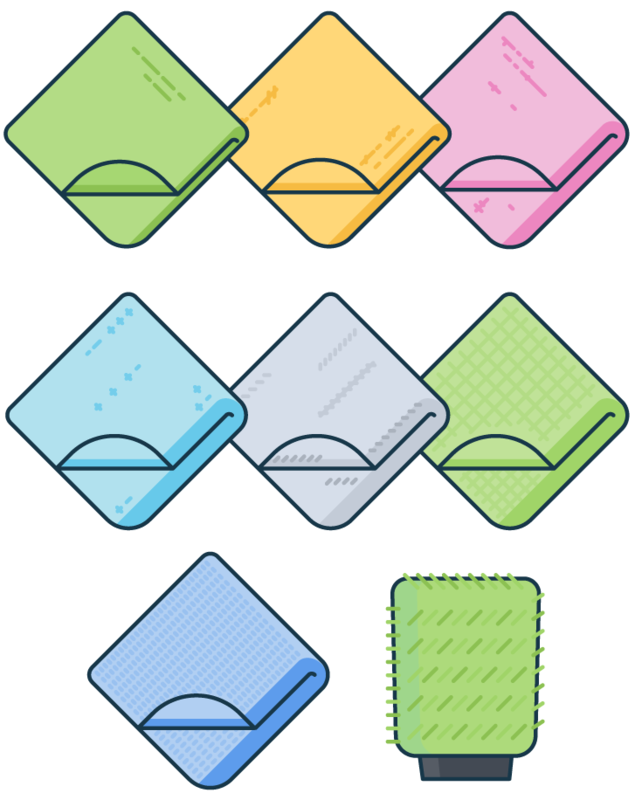 We recommend using good quality microfiber towels. 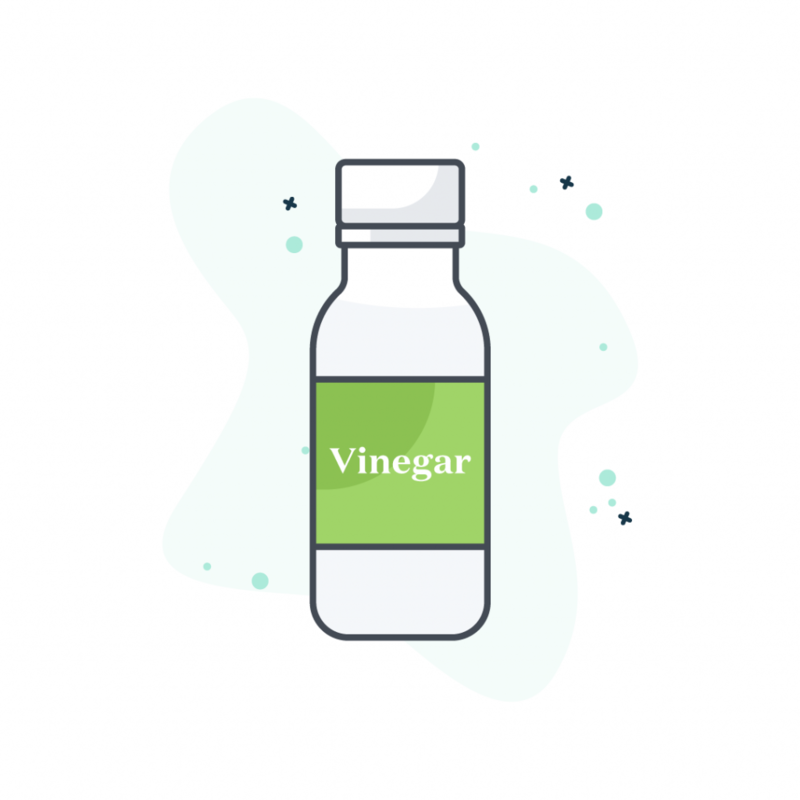 White vinegar is a low pH form of acetic acid and is a great hard water spot remover. The minerals found in hard water such as calcium hydroxide (slaked lime) have a high pH factor and usually respond well when treated with vinegar or other low pH removers. Prepare the vinegar solution by emptying equal parts of white vinegar and distilled water into the bucket. Tip: Distilled water allows for a more acidic solution as it is free of any minerals that may weaken the pH of the vinegar. Test a small area using a clean sponge wet with the vinegar solution. Apply to a water spot and allow it to remain for up to one minute to loosen, and hopefully dissolve, the water deposit. Rinse and gently wipe the area dry. Continue to apply the solution to affected areas, keeping the water spots wet with the vinegar mix for at least 1 to 2 minutes. Gently wipe the water spot, rinse thoroughly with water, and towel dry. Tip: Use a light touch. Do not aggressively rub the spot as this may lead to a scratched finish. The vinegar solution will likely remove any sealants or waxes. If you use a vinegar solution to remove hard water spots, re-apply paint sealant or wax to restore and protect your car`s finish. Detailing clay can be effective at removing contaminants in water spots such as metal fragments, ash, dust, and other particle pollutants. 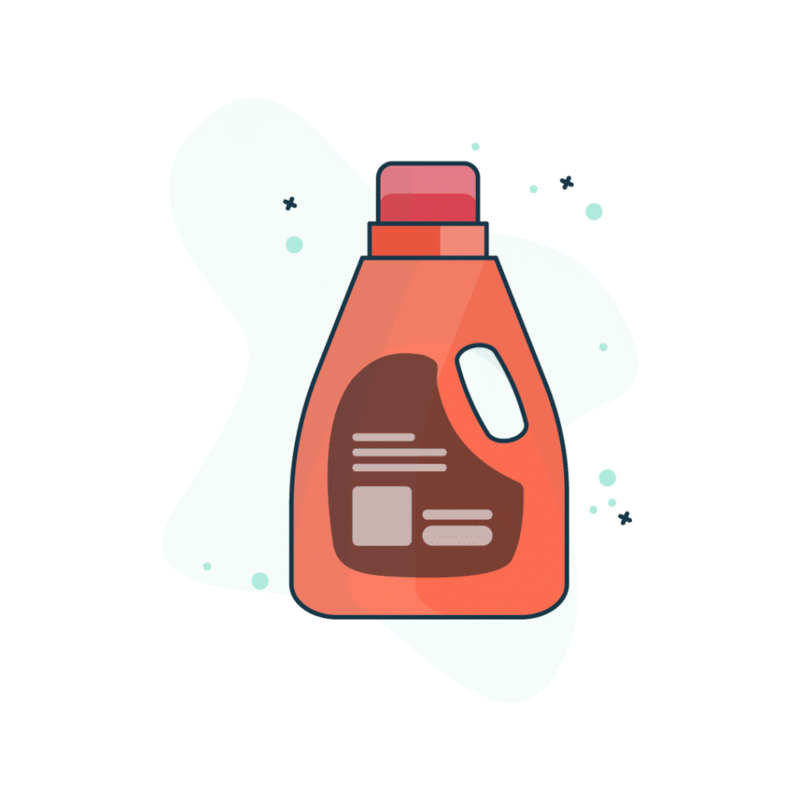 It also works well on removing water spots from car windows and the windshield where the hardened residue does not penetrate the glass surface. Be aware, however, that claying may not resolve water spots from mineral deposits. Read our detailed guide to claying your car here. Lubricate a defined area with a clay lubricant to prevent scratches to the finish as the clay bar is moved over the surface of the car. Gently move the detailing clay over the area. 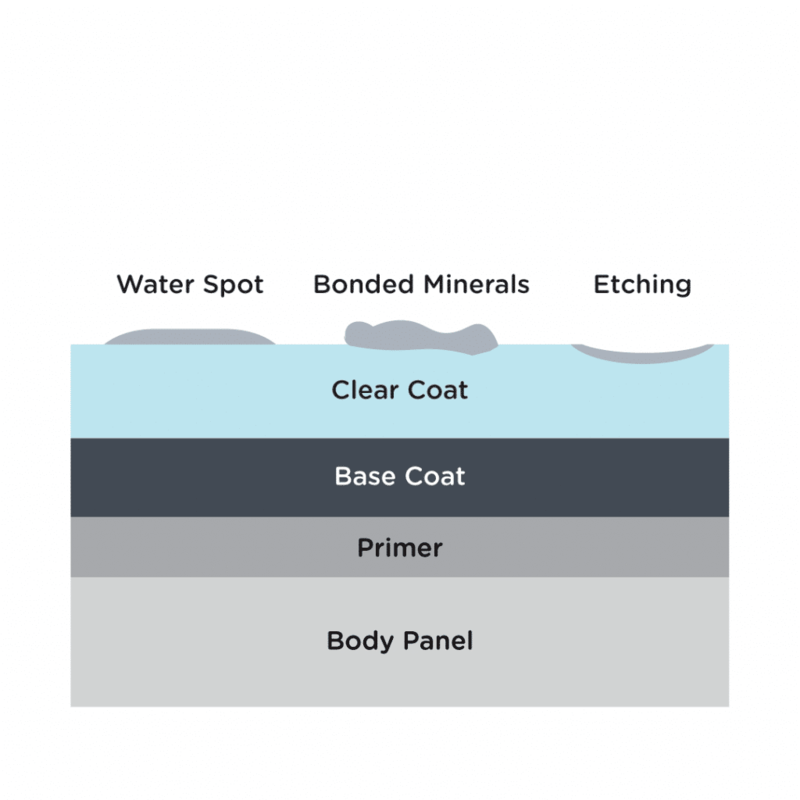 The clay bar will grab areas where contaminants and grit are present. Work on noted spots from multiple angles. Continue to lightly rub the clay bar over the area until it glides freely without grabbing at the surface. Tip: As the clay bar becomes soiled, it can be folded to expose a clean portion of the bar. Wipe each section with a clean, dry microfiber towel when finished. Meguiar`s A3714 Compound Water Spot Remover - 16 oz. Meguiar’s is a trusted brand and used by many in the automobile field. This formula is designed for water spot residue on paint, chrome, and glass surfaces, and is safe for clear coats. It should not be used on satin or matte finishes and should be spot tested before use. Boat Bling HS - 0032 Hot Sauce Premium Hard Water Spot Remover - 32 oz - Environmentally safe and biodegradable, this specialized formula works to remove water spots without stripping the wax or sealants from your car’s finish. Silicone sealants and high gloss polymers in Boast Bling work to end water spots and keep your car’s shine at its best. Eraser Water Spot Remover 16 Oz - Gel. For Paint, Glass, Windows, and Mirrors - This gel formula removes hard water spots by eradicating the mineral deposits left behind by water. The fast acting, acidic mixture softens minerals but will not scratch paint, metal, or glass surfaces. Great for windows! When all remedies fail to remove water spots on your car, etching may be the reason. Older, hardened water spots lead to etching of the paint’s surface, leaving a cavity in the finish. Etching then leads to increased water retention and encourages a build-up of contaminants as the sunken cavity, however slight, tends to attract and hold water. Abrasion of the car’s surface may be needed at this point to level the finish. The paint is an important factor as to the level of difficulty with this process. We recommend seeking a qualified professional to complete this process. As with any maintenance and repair, prevention is critical. 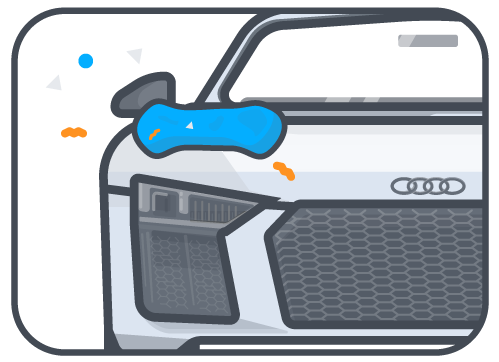 The best way to get rid of water spots on your car is through routine care. Keep your vehicle clean - Wash your car on a regular basis and never air dry. Always use a clean, soft towel or microfiber cloth to dry your car thoroughly. Use a quality car wax or sealant to keep your car`s finish protected and looking good. Watch where you park - Avoid areas where sprinklers or overspray is likely to occur. I've been away a while and see this wonderful post. Thank you. When I see my brother's 63 Nova in July I'll keep it in mind. Hopefully he just needs a wash and wax. I'll be sure to do a light finger check with regards to a clay job.